Sandra Hay Magdaleno, a Certified Financial Planner, has been assisting investors since 1987. Sandra is an Investment Advisor Representative and a Registered Representative with Cetera Advisors LLC, Member FINRA/SIPC. She is registered in the states of Oregon, Alaska, Washington, California, Iowa and Minnesota. Her practice also includes licensing in the areas of Life and Health Insurance. 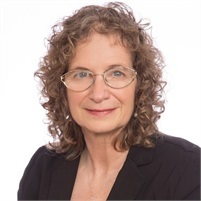 Sandra’s desire is to help businesses and individuals, both working and retired, build legacies of prosperity by creating multiple streams of income utilizing sound investment strategies and efficient tax and estate planning techniques. She does this by building strong relationships of trust and respect for her clients, empowering them to make wise financial decisions through education, and a thorough knowledge of their strengths and desires. Her financial advisory practice focuses on assisting individuals, families, and businesses build, preserve, and pass on their wealth. She utilizes an investment policy offering a broad range of income and tax saving strategies creating multiple streams of income seeking to help clients accumulate and preserve their assets. Sandra and her husband, Johnny, and their son live in Portland, OR and often summer in Port Lions, AK. They are avid fishermen and outdoorsmen with a strong sense of faith. After hours Sandra is often found volunteering for school related projects, soccer, and basketball team sports, and most importantly her church. Their two daughters are grown with families of their own which include 3 grandchildren. They enjoy spending time with family from Iowa to Delaware to California and beyond. Sandra looks forward to helping you pursue your financial goals.